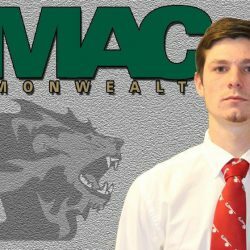 ANNVILLE, Pa. – Albright men’s lacrosse senior Cam Cetrone earned MAC Commonwealth Offensive Player of the Week honors following his offensive surge, announced Monday by the conference. Cetrone, who earns his second conference weekly award of the season, led the Lions to a two conference wins with 12 goals, including both game-winners. He also finished the week with two assists, eight ground balls and two caused turnovers. In a 20-10 win over Widener, Cetrone scored seven goals and added an assist with five ground balls and a caused turnover. He then scored five goals and added an assist with five ground balls and a caused turnover. With 142 career goals, Cetrone is five shy of the school record. He leads the conference in goals per game and is top-five in the nation in the same category. Albright returns to action on Thursday, April 13 at home against Hood at 7 p.m.